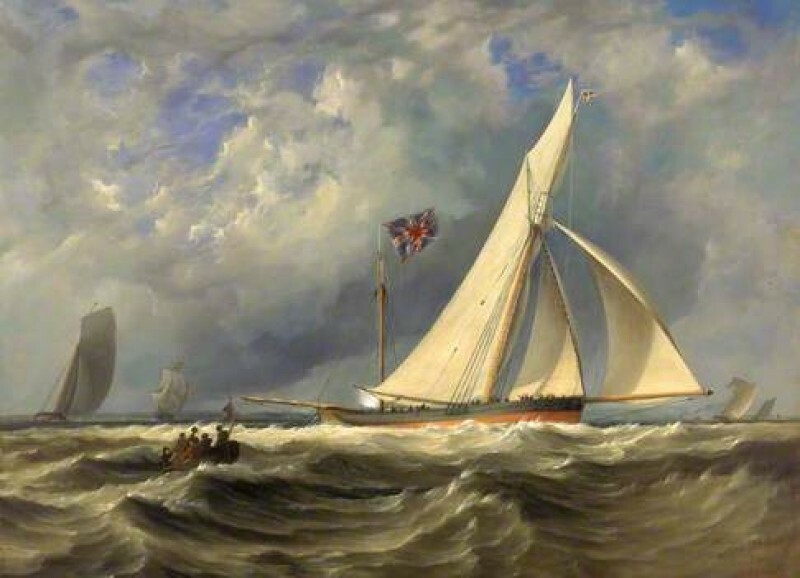 Pieter van der Merwe, Maritime Subjects group leader, and the National Maritime Museum sought further information on maritime artists Joseph Miles Gilbert, and G. Gilbert. To date the search was unsuccessful in tracing the latter, who worked on naval subjects around 1812, but none of his works are in British public collections. The only certainty is that he is not related to Joseph Miles Gilbert, born in London, 26th April 1799, who won a silver medal from the RSA in 1823 for a marine painting. He exhibited at the RA, the BI and the RSBA between 1825 and 1855. Joseph Miles Gilbert married Lucy Squire in Soho on 7th August 1827, and around 1830 moved to Lymington, then to Boldre about 1834, where he was described as a marine and landscape artist living at 2 Holly Cottage, in the 1851–1871 census. He died there on 18th April 1876. Whilst checking on maritime subjects, Pieter van der Merwe came across a connection with leading catholic landowners, indicating that Joseph Miles Gilbert’s career relied substantially on patronage amid local gentry, but he was a perfectionist and destroyed paintings he deemed unsatisfactory. No meaningful comparison was possible with G. Gilbert's work as none was traced so the search was halted. Art UK closed the discussion, with a reference to the information gathered to date about Joseph Miles Gilbert (1799–1876), marine and landscape artist.